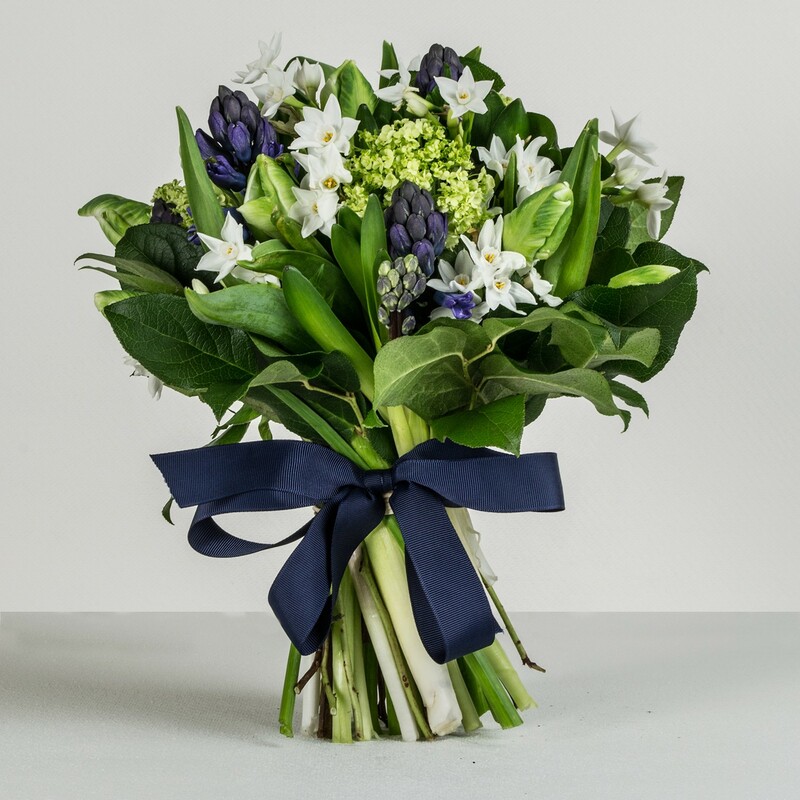 Classic colour combinations of snowy white, deep purple and vibrant green give this arrangement a crisp, fresh appearance, while the addition of hyacinths ensure that your rooms will be filled with a sweet, lingering scent. To complement the royal purple of the hyacinth buds we have included tulips and white narcissi, the delicate petals of which add a pretty elegance. A final cluster of viburnum completes our Scented Spring Wonder bouquet.